Crystal Meth is a highly addictive central nervous system stimulant. Crystal meth looks like shinny glass-like fragments or a white powder. Crystal meth usually smells like ammonia and is bitter tasting. 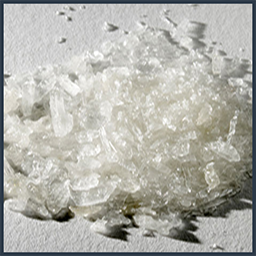 It is most commonly referred to as “meth”, but also has a few other names, such as Crystal Meth, Tina, Glass, Ice., etc. It has a long lasting effect that can keep an individual high for as long as 12 hours at a time. Crystal meth is man-made using the most horrible products such as ephedrine, acetone, and drain cleaner, lithium, kerosene, paint thinner, and iodine. Crystal meth is very hard on the body and the mind. It suppresses the appetite. Crystal meth can cost as low as $5 for an amount that can last 24hours for some users making it cheap, this makes the drug look attractive. Crystal meth is also very easy to get as it is manufactured in the same cities and environments it is used in. Crystal Meth is usually smoked in a glass pipe, much as is cocaine. After only one smoke, it can be highly addictive, depending on the tolerance level of the user. Crystal Meth can also be sniffed; however this can cause permanent damage to one’s nostrils. Sometimes, a plastic nosepiece must be surgically inserted. Crystal Meth can be injected in a dry state or dissolved in water, whichever is preferred. A user is doubly at risk, not only due to the effects of the drug, but also due to the risks of “shooting up”. Quite often, needles are shared and diseases such as hepatitis C, Aids, among others are contracted.